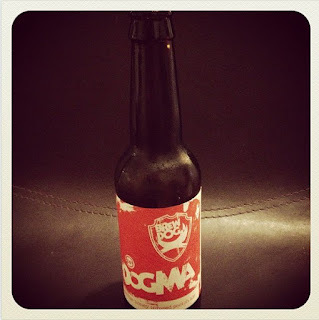 The Genuine Beer Blog: Dogma !!! Hey Everyone, So today's beer review comes from the familiar brewery of BrewDog, I think they are an exciting brewery with a huge range to offer, so I hope you enjoy today's post : ) !!! 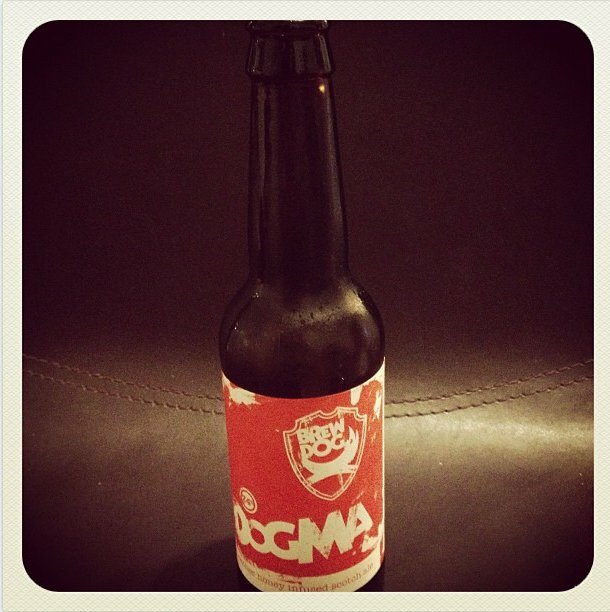 Dogma is a really deep, full flavoured beer, with a real dynamic depth of flavour to it. There are flavours of coffee and chocolate coming from the roasted malt in the beer, but there is also a slight sweet edge, a taste of honey, giving this beer an incredible balance. This beer has a bitter after taste, giving you that moreish quality, which I think is key to a great beer. There is a coffee lingering after taste, a real malty depth to the beer, which is a pleasure to drink. 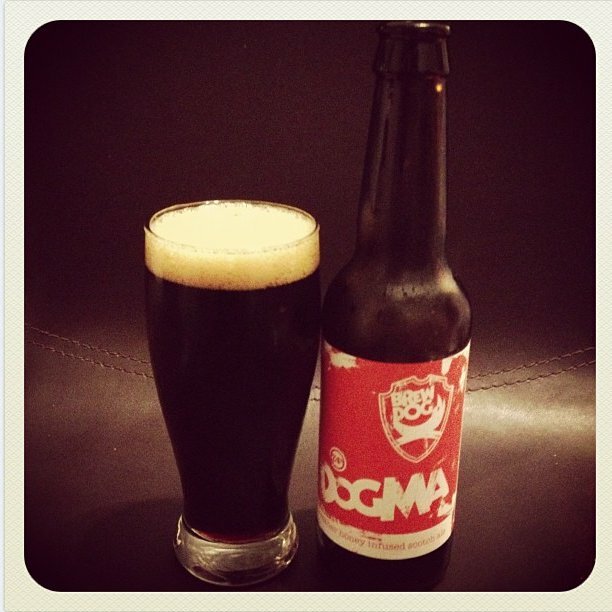 Dogma doesn't taste overly alcoholic, which is a great surprise considering it comes in with an ABV of 7.4%. This plays in the beers favour massively as you don't feel that you are drinking something with a real kick to it, due to its perfect balance of bitter and sweet. This is a very rich, indulgent beer, which is great for a beer that could be cracked open on a special occasion. 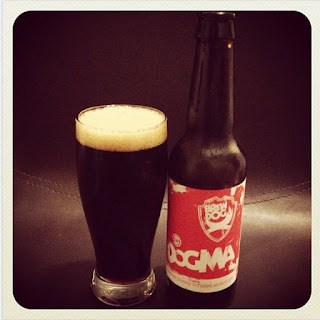 On the whole Dogma is a really great, deep, rich, full flavoured beer, with complex bitterness and sweetness to help make an overall balanced beer. This is definitely a must try beer, but I also think its one to be savoured for a rainy day, it will bring a smile to your face, especially with its warming quality. All in all a fantastic beer that will leave you not only feeling refreshed, but also deeply satisfied.